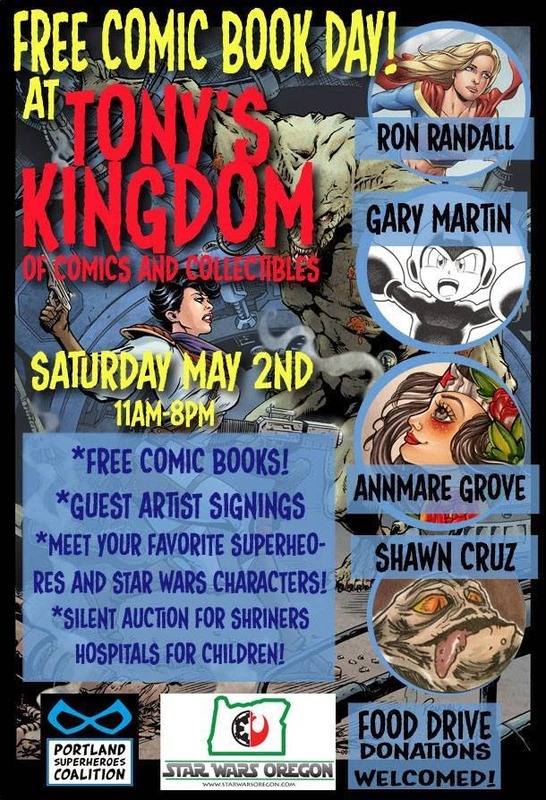 For those of you wondering what to do for Free Comic Book Day this year, this is where I'll be! Tony's Kingdom of Comics! If you're in the Salem/Keizer area, stop by. You won't regret it. Bring some non-perishable food to donate while you're at it.